Runners from local club Romsey Road Runners have continued to compete over the new year period with some amazing personal achievements by many members. 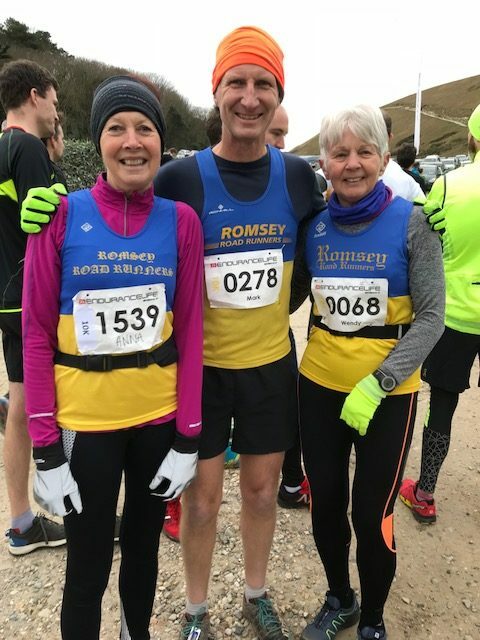 Sunday 27th January saw the Romsey 5-mile race at Broadlands and unsurprisingly Romsey Road Runners were well represented with 41 runners on the day. It was a fine morning if somewhat cold and there were some more great performances from the club. Highlights included 5 runners coming in with times under 30 mins, Neil Jennings was 5th overall in a time of 28.18, Matt Brown was 9th overall in 28.56, Alex Prinsep was 11th in 29.18, Tim Parker 14th in 29.38, and Mark Stileman 15th in 29.48. Amanda Hull finished in 31.52 to finish as 2nd lady and not far behind in 3rd place was Hannah Shutt in 32.14. A massive well done to everybody else who took part and represented Romsey so well on the day. On Sunday 10th February there was an exodus to the West Country as several events were taking place. Ian Ralph put in a phenomenal performance at the Portland Coastal Marathon covering 2595 ft of climbing on a blustery morning by the sea finishing in 4th place overall in a time of 3.49.11. Also, in Dorset Keith Morris and Sue Stileman took part in the Lytchett 10 Miles and both came back with PB’s of 1.20 and 1.26 respectively. Liz Prinsep travelled even further afield to Dartmoor to run the Wild Night Dark 10, which as the name suggests was a 10-mile run across Dartmoor in the dark. Liz finished 2nd in her age group with a fabulous time of 1hr 59mins. Two runnng clubs in Romsey put aside their rivalries this Christmas to join together for a joint Boxing Day run. 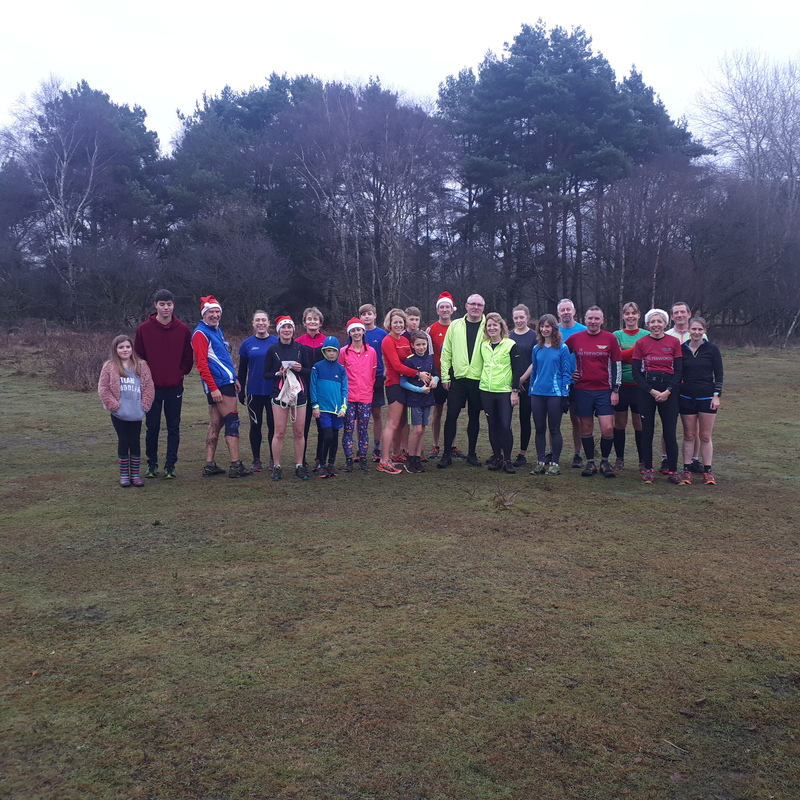 Halterworth Harriers invited the Romsey Road Runners to join them for their annual festive social run. Meeting at Halterworth Junior School at 9.30am the runners headed out via Botley Road to Baddesley Common. There was a variety of runners including several juniors. Some runners were kitted out in Santa Hats and a variety of other running attire on the 4.5 mile route across road, grass and mud. The centre point of the run was stopping for a chat at the wooden boardwalk on the common and the chance to sample some delicious home made vegan energy balls made by the Harriers nutritionist Eleanor Vamplew. The weather was seasonally mild (and dry) which helped get a good turnout for the event. 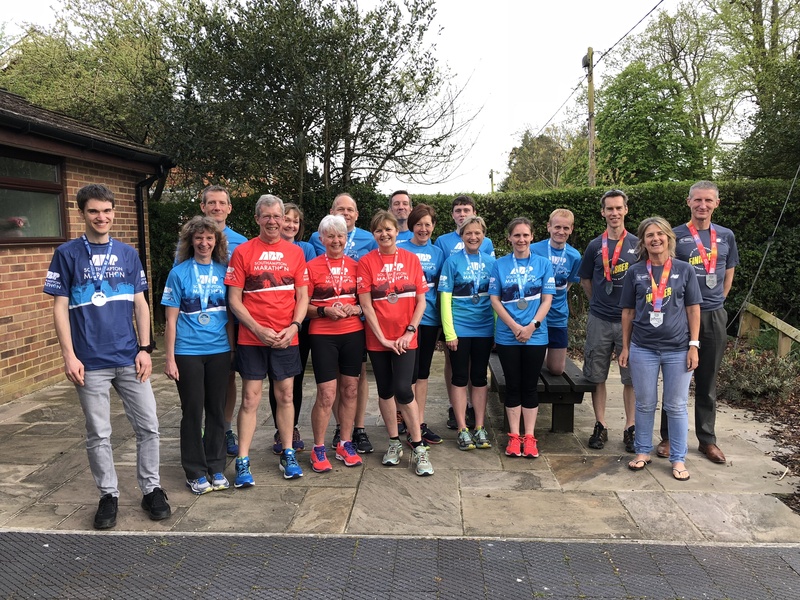 Some of the runners are training for marathons and decided to meet earlier for a few extra miles before the rest of the runners joined them for the social run. Everyone agreed that it was a good way of burning off some calories and to get out in the fresh air after a day of indulgence. We are proud to have been selected by England Athletics for a series of FREE sessions with a leading endurance running coach; Nick Anderson. Nick is the national marathon lead and regional endurance lead for England Athletics, as well as a part of the Winchester & District A/C. So both experienced and local! Nick will host three sessions during Feb and Mar, each of which can be booked (for free!!) using the links below. The focus will be on preparing for the spring 10km races (e.g. Eastleigh) but will be relevant for all distance training. You don’t have to make it to all three, but we encourage you to try as Nick will link each one to the other as he guides us through the why, how and progression of a structured training programme. Each of the first two sessions will consist of both a full training session as well as a Q&A session with Nick back at Woodley Hall afterwards. The third session will be a talk from Nick on endurance training, with an opportunity for us to probe Nick with all those questions we’ve always wanted to ask. Food will be provided to make this a truly fun & social (as well as educational) evening. So, what are you waiting for? Click on the links below to find out more about each of the three sessions and sign-up! Please do book your attendance so we have an idea of numbers and can make appropriate arrangement for the venue, session leader support and refreshments. 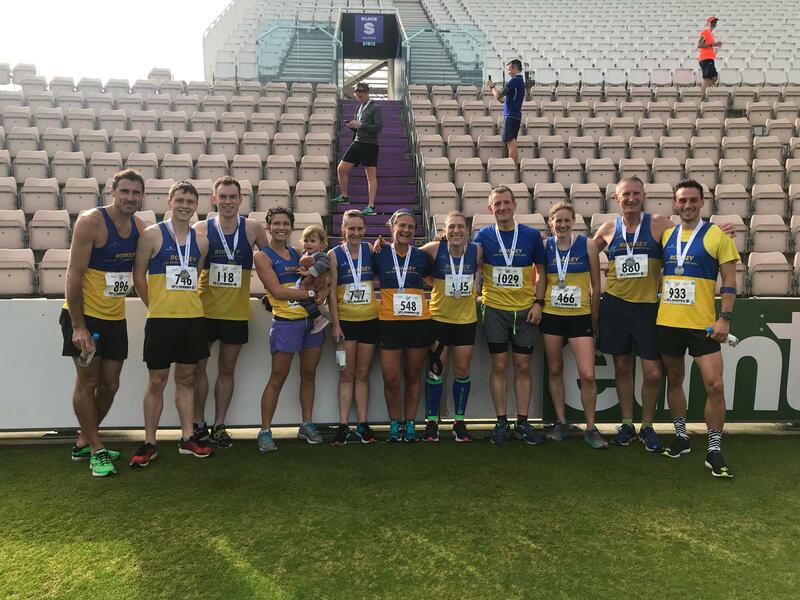 The last couple of weekends have seen some fantastic results for Romsey Road Runners. Last week Mark and Sue Stileman took part in the Remembrance Day 10K in Portsmouth. Mark won the event with a a fantastic time of 39mins and 30 secs whilst Sue also finished in an amazing 57 mins 12 secs. This weekend the Stilemans followed this up by travelling to the Cotswolds with Mark completing the Broadway Marathon in 3h 36mins coming in an incredible 5th overall. Sue took part in the Tempo Winter Series 10k finishing 10th in age group with a time of 57 mins 12 secs. Some of the Romsey Road Runners team at the Gosport Half Marathon. From left Ian Winkworth, Alex Prinsep, Dave Gardner, Keith Morris, Alice Lane and Remi Francois. Sunday also saw Romsey Road Runners out in force at the ever-popular Gosport Half Marathon which is part of the Hampshire Road Race League. 13 Romsey Road Runners joined 2000 other competitors in what were perfect race conditions following the double loop course from Stokes Bay along the sea front at Lee On Solent and back. It was a cold clear autumn morning but the sun was shining and the atmosphere was buzzing. 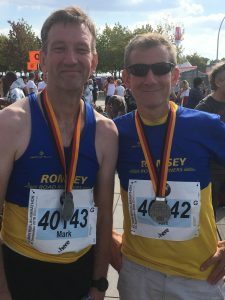 This is one of the fastest and flattest half marathons in the UK and the amazing times of the Romsey team really reflected this. First in for Romsey was Alex Prinsep in a Personal Best (PB) time of 1hr 22mins and 51 secs. Next came Remi Francois (1.29.28 PB), Becky Tovey (1.33.51 PB), Ian Winkworth (1.34.08), Nigel Hemsted (1.35.29 PB), Hannah Semeraro (1.39.27), Christopher Brown (1.41.01), Dave Gardner (1.41.46), Cliff Reeves (1.44.47 PB), Ben Sharman (1.47.55), Liz Prinsep (1.48.49), Alice Lane (1.52.31) and Keith Morris (1.53.29). Breamore 10km was back for its second year on the 29th October. Run on trails around the estate Alice Campbell completed the two-lap course in 54.35mins followed by Anna Duignan in 1hr. Wendy Couper finished the 5km option in 40.05mins winning her age category. Meanwhile Mark Stileman thoroughly enjoyed one of the biggest off-road marathons in the UK; The Beachy Head Marathon. This race incorporates the famous seven sisters in the last five miles. Mark finished in a fantastic time of 3hrs 25mins placing him 2nd in his age category, his wife Sue also enjoyed the 10km race finishing in a time of 1hr 2mins. 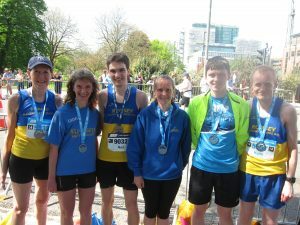 Romsey’s Liz Prinsep travelled to Dublin to run her first road marathon. Liz finished in a brilliant of 3hrs 46mins, meaning Liz has qualified to apply for a good for age place in the London marathon. 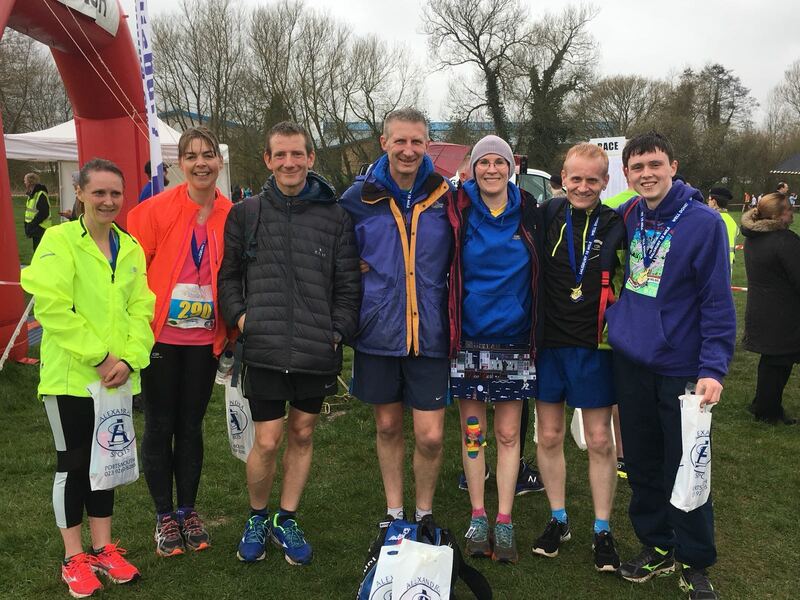 The following weekend saw the Oakhaven half marathon which Alice Lane completed in 1hr 53mins and 1st in her age group and Jo McKenzie in finished in 1hr 59mins. At the Hayling 10mile Liz Prinsep achieved a time of 1hr 24mins. Becca and Neil, our winners of the Stinger 5 mile! Romsey went on to clean up at the picturesque New Forest Stinger this year. Neil Jennings won the 5-mile race in 35.35mins closely followed by James Battle in 2nd place in a time of 36.15mins and Mark Suddaby 5th in 39.59mins. The ladies were on form too and Becca Lurcock was first lady to finish in a time of 44.21mins with Sue Stileman in 51.36mins, Anna Duignan 57.28mins and Wendy Couper 1.16mins. In the 10mile race Mark Stileman was 2nd overall in 1hr 05mins with Becky Tovey 4th lady in 1hr 15mins, Abi Cooke 1hr 22mins, and Penny Jennings 1hr 36mins. 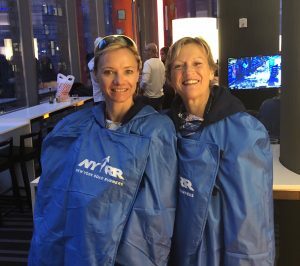 Three Romsey Road Runners were fortunate enough to fly over the pond and take part in the amazing New York Marathon. Liz Slade decided she would use it to mark the occasion of a special birthday with friend Annie Tomlinson. They weren’t disappointed and some great goals were achieved firstly by Nigel Hemsted who earned himself a good for age place by easily making the qualifying time finishing in 3hrs 35mins. Liz and Annie shared the experience together and crossed the line in 4hr 23mins earning Liz not only a Personal best but also a good for age qualification. And a Centurion was born! 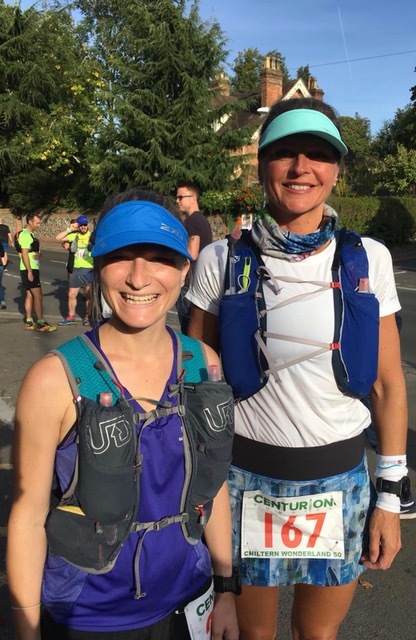 Having caught the ultra-bug with a series of 50mile races Romsey Road Runner Tamatha Ryan vowed never to attempt the 100mile distance but on the 13th October, she toed the line to begin her first 100mile race the Centurion running Autumn 100. 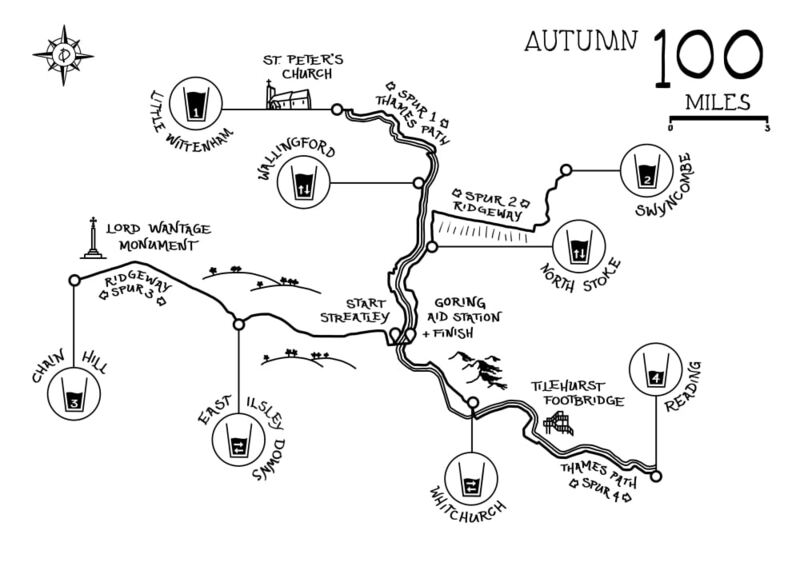 Centered around Goring-on-Thames the four out and back legs run along the Thames path and Ridgeway national trails. Leg 1 went well despite the heat and headwinds, the first 25miles completed in 4hrs 4mins, leg 2 was far more technical and brought stomach issues but a solid run in 9hrs 18mins took her to 50miles. Tamatha was then joined by her pacer Abi Cooke for leg 3, head torches donned the pair started the Ridgeway spur at 8pm, but an old injury was now starting to make running difficult, 75miles was completed in 15hrs 54mins. Becky Tovey had the task of pacing duties for the last 25miles. The heavens opened and at 2.25am the pair braved the elements to attempt the last spur out to Reading and back. However, running was becoming impossible due to pain and tightness and hypothermia wasn’t helping but despite the odds Tamatha made it back to finish the race in 26hrs 24mins. Sunday the 14th was also the 14th Studland Stampede, a tough 12km along heathland and sandy beaches, Sue Sleath was first home in 1hr 3mins followed by Julia Abab and Derek Kelly in 1hr 20mins. On the 21st October Alice Lane gained a massive personal best in the Amsterdam marathon working hard to finish in a fantastic time of 4hrs 17secs. It also proved a great day for personal bests in the Great South Run too, with perfect weather conditions Matt Brown managed to break the hour for 10miles just dipping under in 59.24mins (PB). Matt was closely followed by Alex Prinsep in 1hr 2mins (PB), Amanda Hull 1hr 6mins, Becky Tovey 1hr 10mins (PB), John Quayle 1hr 16mins (PB), Emily Gordon 1hr 19mins (PB), Liz Prinsep 1hr 20mins (PB), Keith Morris 1hr 25mins, Moira Sankey 1hr 43mins (PB), and Dorota Hatch 1hr 46mins. Romsey Road Runner Anna Duignan was on home turf when she won her age category in the Glasgow half marathon, Anna finished in a fantastic time of 1hr 56mins. Meanwhile, continuing their training for the New York marathon Annie Tomlinson and Liz Slade completed the Windsor half marathon finishing in 1hr 59mins and 2hrs 02mins respectively. More locally the Ageas Bowl 10km proved to be a great race for many Romsey Road runners to achieve a new personal best. Matt Brown was first home in 35.33mins, closely followed by Alex Prinsep in 36.32mins (PB), Mark Stileman 37.39mins, Amanda Hull was 3rd lady overall in 40.10mins, Mark Suddaby 40.16mins, Ian Winkworth 40.39mins, Becky Tovey 41.21mins (PB), Vytas Jakimavicius 41.22mins, Hannah Semeraro 41.33mins (PB), Liz Prinsep 47.37mins (PB), Alice Lane 49.25mins, Linn Webb 56.53mins (PB), Ray Webb 57.06mins, Rob Gowman 1hr 1min, Ali Fielder 1hr 1min and Jo Puttick 1hr 06mins (PB). The following weekend was another big hitter for Romsey, the popular Clarendon marathon. Neil Jennings had a good solid run in the marathon finishing 10th overall in 3hrs 22mins and Stewart Liesnham also had a great run in 4hrs 11mins. Cliff Reeves rose to the challenge and made a last minute decision to debut the distance on such a demanding course and finished in a great time of 4hrs 43mins. The half marathon was won by our very own Matt Hammerton who despite a broken collar bone managed to finish in an impressive time of 1hr 23mins. He was followed home by Rob Webb in 1hr 40mins, Remi Francois 1hr 41mins, Nigel Hemsted 1hr 46mins and 2nd in age catergory, Hannah Semeraro 1hr 47mins and 4th lady overall, Annie Tomlinson 2hrs 7mins, Heidi Godfrey 2hrs 7mins, Penny Jennings 2hr 9mins, Liz Slade 2hrs 11mins and Keith Morris in 2hrs 39mins. Wendy Couper won her age category in the 5mile race finishing in 1hr 11mins and our relay foursome of Anna Duignan, Karen Keane, Julia Abab and Derek Kelly thoroughly enjoyed the day finishing in 4hrs 27mins. To round the weekend off nicely Susie James bagged herself a personal best in the Bournemouth half marathon finishing in 1hr 55mins. Mark Stileman was very happy to come 1st in his V50 age cat at the Chester metric marathon in 1hr 46mins and Vytas Jakimavicius completed the Oxford half marathon in 1hr 42mins. 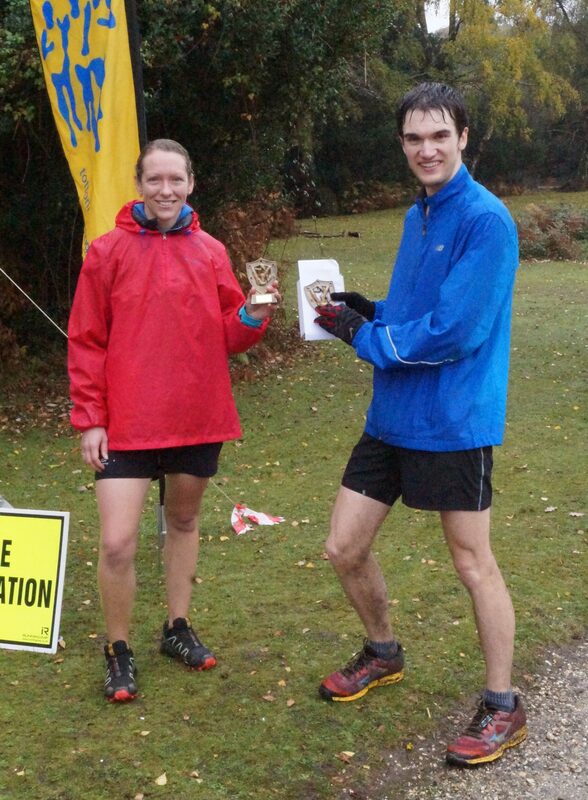 On Saturday 8th October Abigail Cooke and Tamatha Ryan challenged themselves with the Chiltern Wonderland 50 race. A 50mile single loop with 5600ft of climb around the Chiltern countryside and picturesque villages made famous by British film and television. Tamatha completed the very challenging course in 9hrs 10mins, 5th lady, 1st in age and 30th overall. Abigail followed closely in 9hrs 50mins, 10th lady and 61st out of 211 finishers. Elsewhere, Alex and Liz Prinsep took part in the Eaton Dorney triathlon. Alex completed the Olympic distance in 2hrs 34mins whilst Liz made her debut in the Sprint finishing in a time of 1hr 56mins. Brothers Mark and Ian Winkworth travelled to Germany to take part in the 45th Berlin marathon which saw Kenyan Eliud Kipchoge set a new world record in 2.01.39! Ian completed the fast course in a personal best time of 3hrs 27mins and Mark finished in 4hrs 7mins. Meanwhile, Liz Slade and Annie Tomlinson ran the Goodwood 20mile as a training run for the New York marathon. Liz finished in 3hrs 15mins and 2nd in her age category and Annie in 3hrs 18mins. Hursley 10km is always popular with Romsey Road Runners and this year was no exception. Mark Stileman was first to finish in a time of 39.04mins placing him 7th overall and 2nd in his age category, he was followed by Nigel Hemsted in 46.25mins, 1st in his age category, Paul Whitaker in 47.58mins, Sue Sleath in 49.18mins, 1st in her age category, Alice Lane in 54.37mins and Sue Stileman in 55.35mins. The following weekend Daniel Lurcock completed the Solent half marathon, part of the Hampshire Road Race League, Dan finished in a fantastic time of 1hr 33.29mins. A slightly hillier option was the Winchester half marathon which saw James Cole first to finish in 1hr 34.11mins, closely followed by Becky Tovey in 1hr 36.49mins. Next home for Romsey was Ben Sharman in 1hr 49.10mins followed by Alice Lane in 1hr 56.38mins, Anna Duignan in 2hr 03.04min, 1st in her age category, and Paul Davies in 2hr 05.38mins. 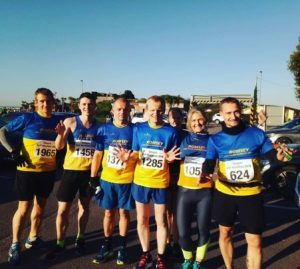 September has had a spectacular start for Romsey Road Runners so far and it hasn’t all been about running! Sunday 2nd Sept saw the start of the Hampshire road race league, the first race, the Overton 5 mile, is an undulating 5-mile loop. Alex Prinsep was first home for Romsey in 30.04 minutes (PB) closely followed by Mark Stileman in 30.52 mins. Sue Sleath came 2nd in her age category finishing in 35.22 mins followed by Liz Prinsep 42.21 mins, Sue Stileman 41.19 mins and Brenda Topliss in 43.33 mins. Meanwhile, Steve Bullock was fortunate enough to take part in the Half Ironman 70.3 Isuzu world championship in South Africa. Steve finished in a total time of 4 hours 57 mins with a swim time of 35.54 mins, bike time of 2 hours 35 mins and half marathon run in 1 hour 39 mins. The popular New forest Marathon took place on Sunday the 9th September offering runners various distances. Amanda Hull came 2nd lady in the 10km finishing in a time of 42.51 mins and Anna Duignan completed the race in 1 hour. Alex Prinsep had a great run in the half finishing 13th overall in a new personal best of 1 hour 22 mins, and the PB’s just kept coming, Remi Francois 1 hour 33 mins (PB), Liz Prinsep 1 hour 48 mins (PB), Keith Morris 1 hour 48 mins (first half marathon, PB), Liz Slade 2 hours 1 min and Susie Parker 2 hours 6 mins (PB). Alice Lane toughed it out in the marathon finishing in 5 hours 11 mins. Cliff Reeves completed the Bournemouth Sprint distance triathlon in 2 hours 37 mins and even managed to finish the 10km run with a PB! June 23rd saw the 6th Giants Head Marathon and 100th race for the Whitestar running Company. Starting in the beautiful Sydling St. Nicholas, the race runs through the very challenging and hilly Cerne Valley and under the famous Giant. Despite the heat of the sun, it was a good day for Romsey with not one but two podium finishes. Tamatha Ryan finished 1st lady in 4.14 and 10th overall, closely followed by Abi Cooke who finished 2nd lady in 4.32 and 23rd overall. Ian Winkworth came in at 4.36, 2nd in age out of 465 finishers, whilst Pete and Maria Hartley-Oinn ran the Sydling Bell 10km finishing in 1.05 and 1.16 respectively. On the Sunday of the same weekend, Stuart Pinch, Ray and Linn Webb all ran the Southampton Airport Runway run 5km. Romsey also fielded a good contingent in the ever popular Lordshill 10km. This proved to be another hot run but still some great times were recorded. Alex Prinsep 38.30, Mark Suddaby 38.48, Amanda Hull 42.29, Nigel Hemsted 44.26, Becky Tovey 44.59, Mark Stileman 45.28, Paul Whitaker 48.23, Liz Prinsep 48.47, Brenda Topliss 50.42 and Sue Stileman 54.26. With the new month came new goals. 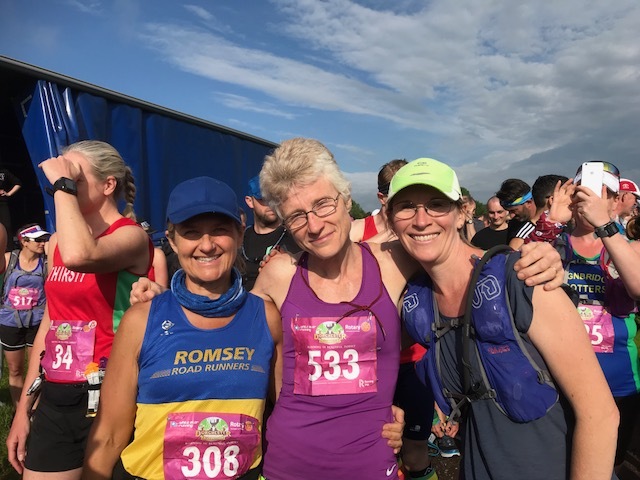 The Summer Plod took place on the 1st July and four Romsey Road Runners enjoyed the tough but picturesque 10mile route around the Meon Valley. Mark Stileman was 1st home finishing 4th overall and 1st in age in a time of 1.18, Hannah Semeraro had a good run and came 4th lady in 1.34, followed by Abi Cooke 6th lady in 1.38 and Sue Stileman in 1.53. Alice Lane also had a great start to the month finishing 3rd lady in the Abbotts Anne 10km in a terrific time of 56.43. Romsey Road Runner, Nigel Hemsted, whilst on holiday in Scotland was tempted to enter a local 10km race ‘Vale of Leven’. Nigel completed the flat course in 44.33 and was 2nd in his age category. The following weekend, on the 8th June, twelve team mates travelled to Reading to take part in the Endure24 event. Considered to be the ‘Glastonbury’ for runners it is a 24-hour race consisting of a 5-mile loop around beautiful surroundings of Wasing Park, with all camping facilities available. 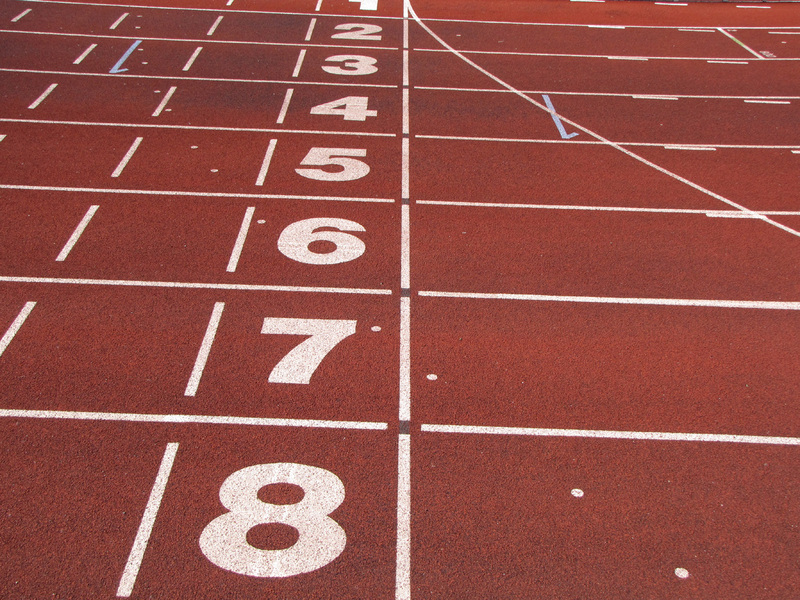 Runners set off at midday on Saturday and run as many laps as they can in 24 hours. There are many options for different types of groups; solo, pairs, small and large teams. Becky Tovey and Tamatha Ryan ran as a pair clocking up 29 laps in 23 hours 48 mins and 145 miles between them, winning them 1st place in the female pairs. Abi Cooke joined Alex and Liz Prinsep to run as a small team completing 26 laps in 23 hours 48 mins. Mark and Ian Winkworth made another small team with Marc Nichols completing 25 laps in 24 hours 1 min. 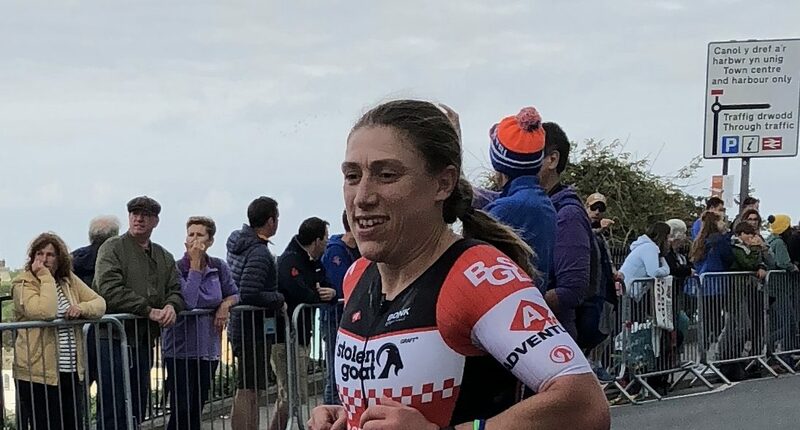 Finally, Alice Lane, Jo McKenzie and Julie Shanker put in a sterling performance, unfortunately Julie was forced to pull out on her first lap due to a knee injury meaning Alice and Jo had to carry on as a pair. The girls managed 17 laps in 22 hours 46 mins. 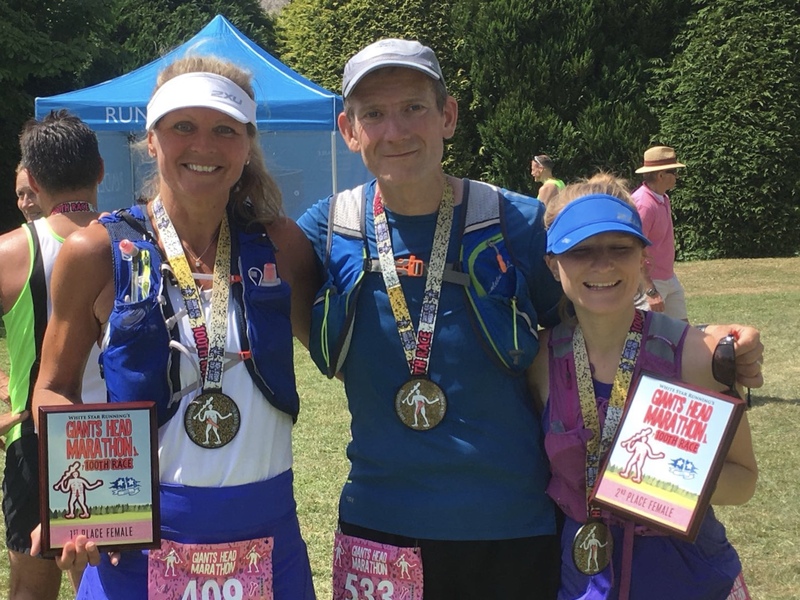 Meanwhile on Sunday 9th June, Sue Sleath travelled to East Sussex for the Weald 50km Ultra Trail Challenge which she completed in 5 hours 43 mins. The same day, Francesca Hough took part in the internationally acclaimed event Man V Horse, an extremely popular race that has been taking place since 1980 in Llanwrtyd Wells, Wales. Runners quite literally race horses and their riders to the finish, Francesca completed the tough course in 5 hours 15 mins. On the Sunday of this weekend, Mark and Sue Stileman ran the Lacock 10km, Mark finished in 42.21 and 1st in age and Sue came in 53.30. 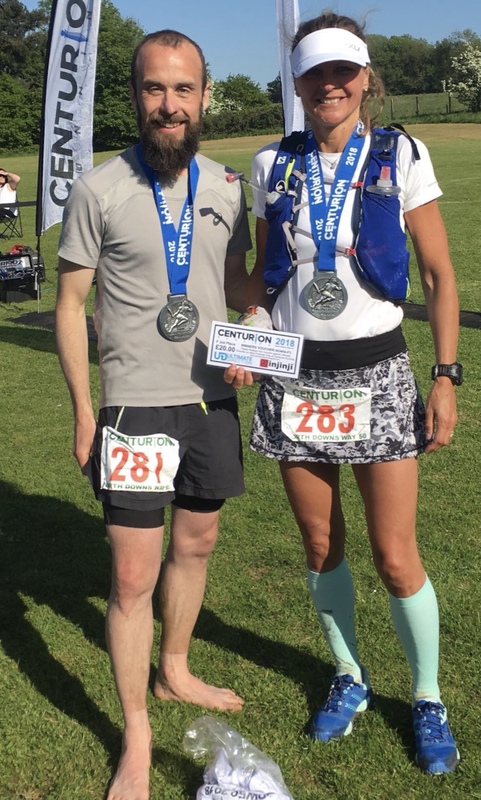 The following weekend, Saturday 16th June, saw Tamatha Ryan complete the beautiful South Downs marathon in 4 hours 2 mins placing her 1st in her age group. Kate Olingschlaeger and Ben Sharman thoroughly enjoyed the half marathon with Kate finishing in 1 hour 56 mins and Ben in 2 hours. Sunday 17th saw the postponed Eastleigh 10km take place. The weather was perfect and eleven Romsey Road Runners put their training to the test and were not disappointed with some fantastic personal bests achieved. Neil Jennings just missed out dipping under 35 mins but still got a PB with an amazing time of 35.04, other times included Alex Prinsep 37.26 PB, Mark Suddaby 38.45 PB, Ian Winkworth 39.51 PB, Rémi Francois 40.28 PB, Ray Webb 46.41 PB, Keith Morris 47.01 PB, Liz Prinsep 49.01 PB, Nikki Skeates 58.41, Linn Webb 1.01 PB and Bridget Wells 1.01. Elsewhere Mark Winkworth and James Wilson opted for the Arlesford 10km with the pair finishing in 46.42 and 49.04 respectively. Mark and Sue Stileman ran the Cheltenham Challenge 10km, Mark finished 5th overall in 42.11, 1st in age and Sue finished in 58.53. Finally, to round off a series of tremendous results, Kirsty Jones won the Falkirk Race for life 5km in a fantastic time of 20.02. On the 19th May Romsey’s Ian Ralph and Tamatha Ryan made light work of the Centurion Running North Downs Way 50 miler. Starting in Farnham and picking up the North Downs trail through Guildford, the tough course incorporates numerous sets of steps, the hardest being 274 up Boxhill at only the half way point! The trail continues on to Reigate Hill and finishes on the outskirts of London. Despite the hot sun and a total climb of 5,600ft the pair rose to the challenge with Ian not only smashing his first Ultra race in a fantastic time of 8 hours 27 mins placing him 15th overall, but enjoying it too. Tamatha also had a great run finishing in a time of 9 hours 4 mins and was rewarded by not only coming 3rd lady overall but by being presented her medal by the world record breaking ultra-runner, Mimi Anderson. The following day Dave Gardner and Liz Prinsep took part in the Hook 10 mile race, a rather undulating course not made any easier by the hot weather again. However, Dave still managed a personal best finishing in 1 hour 13 mins with Liz not far behind in 1 hour 26 mins. Sue Sleath and Brenda Topliss stayed closer to home running the Hampshire road race, Netley 10km, Sue finished in 43.29 mins and Brenda in 52.35 mins. Meanwhile, Romsey Road Runner James Groves used the Swashbuckler middle distance triathlon as training for his upcoming Iron Man UK, James finished the 1.2 mile swim, 56 mile bike ride and 13.1 mile run in 5 hours 21 mins. On the 27th May Sue Stileman made her debut at the marathon distance completing the Dorchester road marathon in 4 hours 25 mins. This race runs through picturesque villages and Sue enjoyed her experience alongside two other Romsey runners; Sue Sleath who had a good run in the warm conditions finishing in 3 hours 55 mins, followed by Alice Lane in 4 hours 42 mins. Run in conjunction, the Casterbridge half marathon route takes in the beautiful Puddletown forest and joins the marathon route to finish the course. Ian Winkworth and Liz Prinsep enjoyed the race finishing in 1 hour 38 mins and 1 hour 59 mins respectively. Meanwhile Becky Tovey and Emily Gordon made the long journey up to Edinburgh to complete what is the UK’s 2nd largest marathon. An all-encompassing route which runs through the heart of Edinburgh, with the iconic castle as a back drop, local sights are abundant. The race has a descent of almost 90m to the finish, it is believed not only to be the fastest UK marathon route, but also the world’s. Both girls had a fantastic run breaking some bench mark times, Becky finished in 3 hours 29mins and Emily in 3hours 59mins. 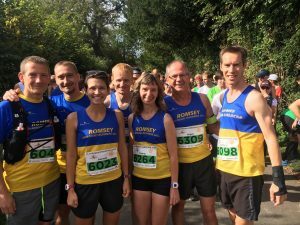 Romsey Road Runners on a Winning Streak! Always popular with Romsey Road Runners is the Houghton 11km cross country run, a mainly off-road race with pretty good terrain, this year Romsey’s Neil Jennings was first home winning the race in a great time of 42.36mins. 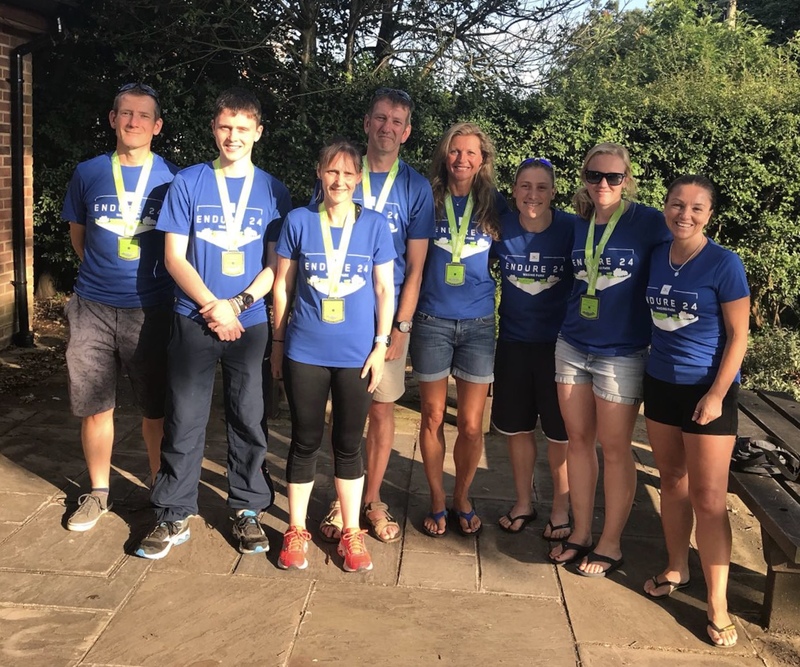 Alex Prinsep was close finishing behind, 6th in 48.16mins, Raymond Webb followed in 56.09mins, Liz Prinsep 1hr, Penny Jennings 1hr 02mins, Gemma Quarendon 1hr 04mins, Penny Overy 1hr 08mins, Andy Cherrett 1hr 09mins, Liz Slade 1hr 09mins, Dorota Hatch 1hr 10mins, Derek Kelly 1hr 13mins, Linda Webb 1hr 13mins and Wendy Couper in 1hr 40mins. Meanwhile the same weekend, Sue Stileman was down in Dorset taking part in the Bad Cow Half Marathon finishing in a time of 2hrs 20mins and 29th overall. 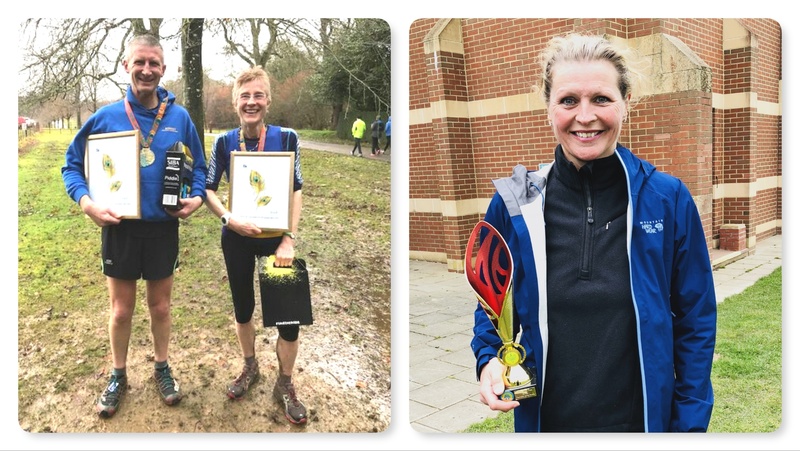 The following weekend saw more trophies coming Romsey’s way at the Marlborough 20mile, Mark Stileman was 3rd overall in a time of 2hrs 35mins followed by Sue Sleath in 2hrs 49mins and 2nd Lady overall. Ian Winkworth and Abi Cooke enjoyed the self-navigating route finishing together in 3hrs 18mins. Elsewhere Vytas Jakimavicius ran the Whitstable 10km finishing in a great time of 42.09mins. Another firm favourite for Romsey is the ‘Harewood 10km’ which Poppy was 1st dog to finish with Sue Stileman in 1hr 01min closely followed by Julia Abab 1hr 03mins, Alice Lane 1hr 06mins, Liz Slade 1hr 06mins, Karen Keane 1hr 07mins, Anna Duignan 1hr 13mins, Derek Kelly 1hr 15mins, Ruth Page 1hr 16mins and Wendy Couper finished the 5km in 43.57mins. The results continued to pour in, Anna Duignan and Wendy Couper ran the ‘Maverick original’ 9km Dorset run on the 13th May finishing in 1hr 05mins and 1hr 21mins respectively. 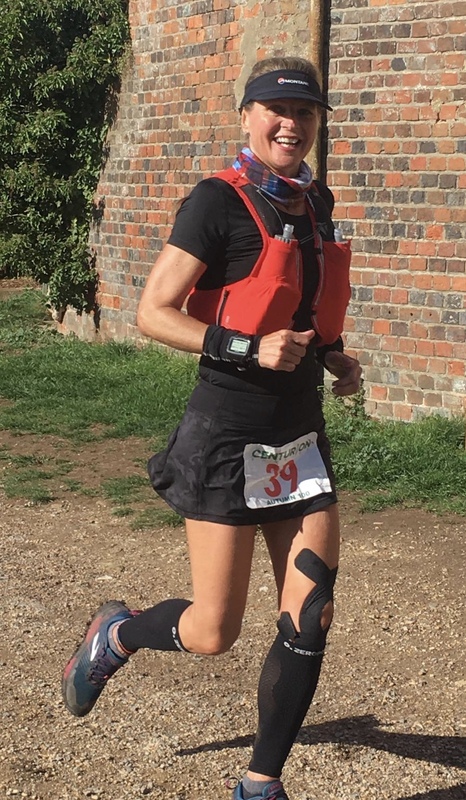 Whilst Alice Lane travelled a little further afield to run the “Race the Tide marathon’ in Flete Estate, Mothecombe, Devon, comprising 29 miles of tough terrain and two estuaries to negotiate, Alice had an amazing run finishing in 6hrs 19mins 6th Lady and 1st in her age category. Kirsty Jones and Andrew Archibald ran the Lymington Lifeboat 10km, a beautiful course for a good cause, Kirsty finished in 46.14mins with Andrew close in 47.40mins. The Grand Finale for Romsey Road Runners came at last Sunday Broadlands Relay Marathon. Returning for its sixth year and run entirely around the estate, teams of up to 10 each run 2 laps of the 1.3mile course making up the 26.2mile distance, with every penny going to charity it’s popular with many local businesses supporting it. 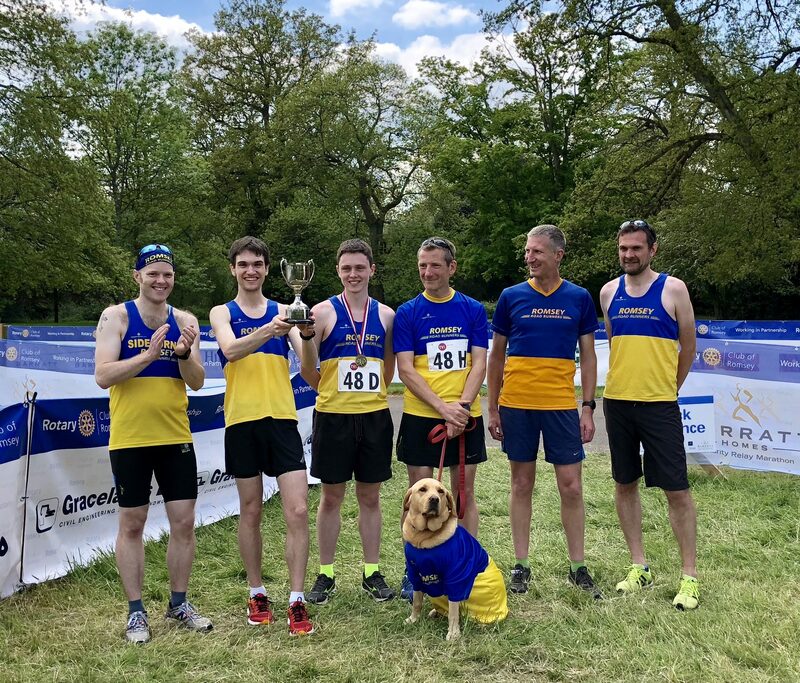 This year Romsey Road Runners entered 3 teams and much to our delight Romsey A team were this year’s winners finishing in a course record of 2hrs 31mins. Matt Brown, Neil Jennings, James Battle, Alex Prinsep, Christopher Brown, Daniel Lurcock, Lee Harris, Ian Winkworth, Matt Hammerton and Mark Stileman were very proud to receive the trophy. Romsey’s B team weren’t too far behind finishing in 3hrs 1min and 4th overall: Sue Sleath, Richard Cross, Wayne Windebank, Mark Winkworth, Jo McKenzie, John Quayle, Ben Sharman, Cliff Reeves, Abi Cooke and Dave Gardner were all delighted with their performance. Romsey’s 3rd team finished in 3hrs 41mins and 53rd overall: Linn Webb, Liz Slade, Julia Abab, Derek Kelly, Brenda Topliss, Anna Duignan, Karen Keane, Deborah Rees, Dorota Hatch and Liz Prinsep. Finally, a big thank you to Becky Tovey for organising and Oscar the Mascot! The spring marathons began with Brighton on the 13th April. Three Romsey Road Runners took on the 26.2miles and each was delighted to achieve a new personal best. With near perfect weather conditions, first home was Dave Gardner in a time of 3hrs 33mins taking a big chunk off his previous pb time, hot on his heels was Becky Tovey finishing in 3hrs 34mins with Joanne McKenzie close behind in 4hrs 13mins. The weather wasn’t so kind the following weekend on the 22nd April when 30 Romsey Road Runners turned out to give their all in the scorching temperatures in both the London Marathon and the Southampton marathon, half marathon and 10km. The heat took its toll but everyone fought bravely on to the finish line. It was the 38th London marathon and Matt Hammerton started behind the elite men having earnt a place on the championship start. Matt crossed the line in an amazing time of 2hrs 48mins with Mark Stileman following closely in a fantastic 3hrs 4mins. Alice Lane did a great job representing Romsey with the club place and finished in 4hrs 44mins and Brenda Topliss achieved 5hrs 23mins. Sadly, it wasn’t to be for Nigel Hemsted who was carrying a calf injury, he flew round the first 15km only to have to make the brave decision to pull out just before the 20km mark when his calf got worse. Meanwhile, in Southampton there were a few personal bests in the marathon, Neil Jennings was the 11th runner overall to cross the finish line in a fantastic time of 2hrs 56mins with Remi Francois completing his 2nd marathon in a time of 4hrs 2mins. In the half marathon Alex Prinsep finished in 1hr 30mins, Jonny Williams 1.39, Penny Jennings 1.55, Keith Morris 1.56, Liz Prinsep 1.58, Cliff Reeves 2.01, Mark Winkworth 2.01, Annie Tomlinson 2.03, Liz Slade 2.06, Ian and Katy Winkworth 2.16, Anna Duignan 2.17, Dylan Needham 2.17 and Sarah Savage in 2.30. In the 10km race, Ray Webb won his age category finishing in 48.17, other runners included Franky Tripp 52.40, Trevor Bond 56.45, Colin Williams 56.54, Hannah Hunt 57.52, Lin Webb 1.04, Heidi Godfrey 1.06 and Wendy Couper also winning her age category in 1hr 21mins. Well done to all! 5mins. Meanwhile, over in Wickham, Mark Stileman came 2nd overall in the inaugural Hundred Acres half marathon in a time of 1hr 23mins whilst his wife Sue completed the 5km race in 25mins. During the Easter weekend David Nixon showed he hadn’t lost his touch in an orienteering trail event at the Cannock Chase Festival, David finished 2nd place overall. Whilst the majority of us ate Easter eggs, Alice Lane, Julie Shanker and Becky Tovey made the journey to Devon for a 4-day Coast to Coast challenge covering 117miles over 4 days. Starting in South Dartmoor and finishing in Exmoor the girls braved every element and terrain possible to successfully complete what they had started together with much relief and a massive sense of achievement. Over in the Isle of Wight, Sue Sleath had a good run in the West Wight 3 hills race, a rather muddy 8 miler finishing in 1hr 4mins and 2nd lady overall. 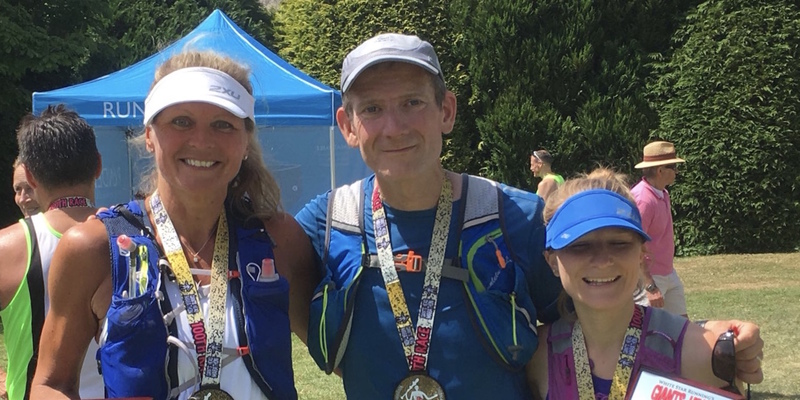 Romsey’s Abigail Cooke had to wait a long time to achieve her goal of completing the SDW50 (South Downs Way 50) having pulled out last year due to injury. Abi was extremely happy to lay the ghost to rest this year, her patience and training paid off, when on the 8th April she flew round the tough “50mile” course from Worthing to Eastbourne in a fantastic time of 9hr 50mins. Keeping up the long-distance theme Francesca Hough completed her first Ultra, the Test Way Ultra, a 44mile route from Coombs Gibbet along the rather muddy Test Way to Totton. Francesca finished in a great time of 10hr 47mins. Romsey wrapped the results up with some personal bests in the ever-popular Salisbury 10miler. First home for the club was Mark Stileman in 1hr 1min, closely followed by Alex Prinsep in 1hr 5mins and Ian Winkworth taking 5 minutes off his PB to finish in 1hr 7mins. It was Keith Morris’ first attempt at this distance he was pleased with his time finishing in 1hr 19min. Liz Prinsep also gained a new personal best in 1hr 24mins, Katy Winkworth debuted at the distance finishing in 1hr 26mins, followed by Sue Stileman returning from injury in 1hr 33mins. At the Bournemouth 10k, Mary Nixon made it round in a fantastic 1h 3mins. Looking for a challenge Romsey’s Ben Sharman travelled East to take part in the Jerusalem Marathon on the 9th March. The race was started by the legendary long distance runner Haile Gebrselassie and considering the 631m of climb Ben did very well to complete the course in a great time of 4 hours 14 mins. On Sat 10th March Dorota Hatch made her debut at one of the Maverick Inov8 events and was very happy to complete the middle-distance trail of 13km in 1 hour 21 mins. There was more action further west at The White star Larmer Tree events this weekend. Set in the gardens of the Rushmore estate, that were created for public enlightenment and entertainment, Romsey’s runners were not disappointed by the beautiful surroundings and peacocks! First to run was Hannah Semeraro who completed the 10mile course finishing as 10th Lady in 1 hour 31 mins. Mark Stileman and Sue Sleath had remarkable results in the half marathon finishing 2nd male and 2nd female in times of 1 hour 40 mins and 1 hour 56 mins respectively. Ian Winkworth had to wait for the light to close so he could don his head torch and complete the Dark Larmer. Ian had a good run, finishing the 9mile course in 1 hour 5 mins earning him 9th place overall and 1st in age group. Abi Cooke and Francesca Hough both travelled down on the Sunday to take part in the marathon distance, completing the tough course in great times, Abi finished in 5 hours 16 mins closely followed by Fran in 5 hours 21 mins. Not too far away Tamatha Ryan and Stewart Liesnham were taking part in the Imber Ultra 33mile race, a friendly charity event incorporating the Salisbury plains and the Imber Range. The race is surrounded by iron age hill forts and mainly run on metalled roads, bridleways and tracks. Tamatha completed the windy course in 5 hours 23 mins earning her 2nd Lady overall whilst Stewart set a new PB in 5 hours 31 mins. 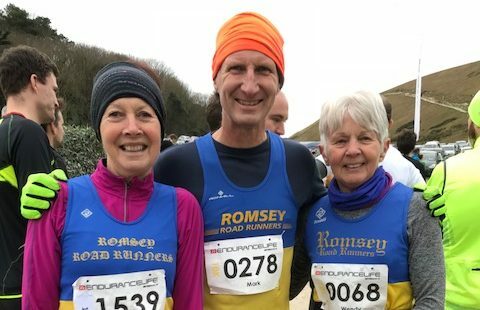 Sadly, snow stopped play for many races the following weekend but several Romsey Road Runners got the opportunity to brave the elements. Anna Duignan, Wendy Couper and Alice Lane took part in another of the Endurance life events, Anna and Wendy completed the 10km distance finishing 2nd and 4th in age groups. Meanwhile, Alice fought her way through high winds and snow to bravely complete the 34mile ultra in 8 hours and was rewarded by coming 1st in her age group. Hannah Semeraro and John Horton made the journey to Seaton in Devon to take part in the popular Grizzly race. Organisers were forced to shorten the technical course to 10miles which Hannah completed in 1 hour 31 mins and John and his family in 1 hour 44 mins. On the 11th February Nigel Hemsted took part in the popular Bramley 20mile race. Ran on quiet country lanes, the race consists of two loops and is deemed as a good training run for a spring marathon, also offering a 10mile option. Romsey’s Nigel finished in a very respectable time of 2hours 29minutes. Meanwhile Cliff Reeves earned himself a new personal best in the rescheduled Twixmas 10km held on the 18th February in Porchester. Despite being off road and slightly over the 10km distance, Cliff completed the race in superb time of 52.12minutes. Alice Lane and Julie Shanker made the long journey north on the 24th February to take part in the Northumberland Endurance life Ultra Marathon starting in Benthall and finishing at Bamburgh castle. Julie sadly had to make the hard decision to pull out at 20miles due to injury but Alice was able to finish, completing the 35mile route in a time of 7hours 32minutes. The following day, a cold crisp Sunday, saw the Winchester 10km road race. This one lap route with a mix of urban and countryside starts outside Winchester Guildhall and finishes at the City of Winchester football club. Representing Romsey were Alex Prinsep finishing in a time of 38.36 followed by Steve Cleeves 42.07, Ben Sharman 47.23, Paul Whitaker 48.25, Liz Prinsep 51.41 and Sue Stileman in 55.32minutes. 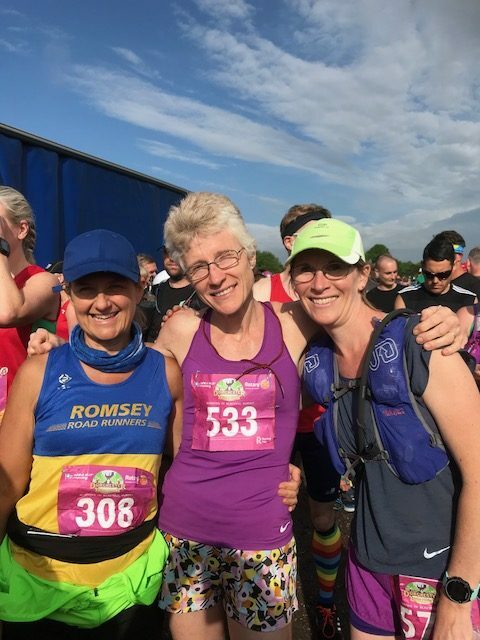 Sue Sleath and Tamatha Ryan took on the long-distance walkers association New Forest challenge marathon, a self-navigating route through the beautiful surroundings of the scenic forest starting and finishing in Burley. The pair made it back for a welcome hot meal in a little over five and half hours. Becky Tovey was fortunate enough to travel to Abu Dhabi again for the ITU world triathlon. Whilst most of us were dealing with snow, Becky enjoyed a warm swim and was trying to avoid tan lines as she cycled around the formula 1 course before finishing with a half marathon run. Completing in an overall time of 5hours 32minutes Becky pitched each discipline well and enjoyed the race. 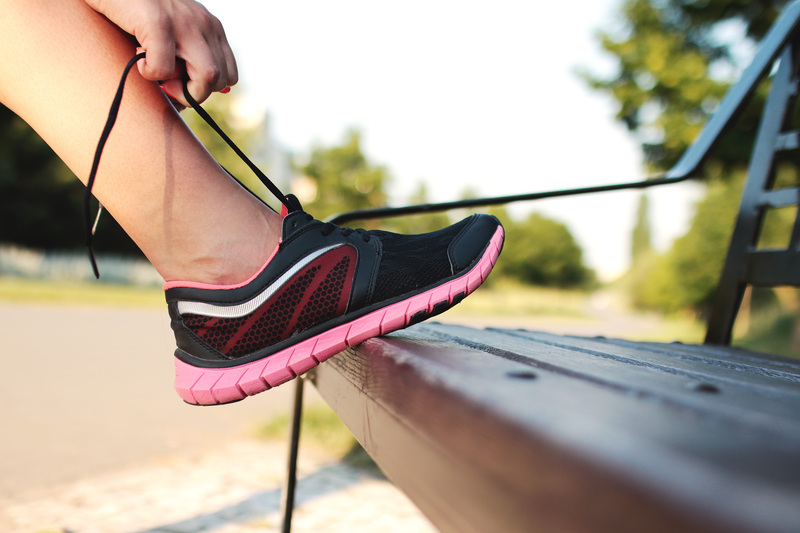 Couch to 5k – Romsey Get Running! Our 2018 Couch to 5km (C25K) programme will be starting this April; online registration is open now! If you’re looking to start running, or have been a runner in the past and would like to get back to it, this is the programme for you. 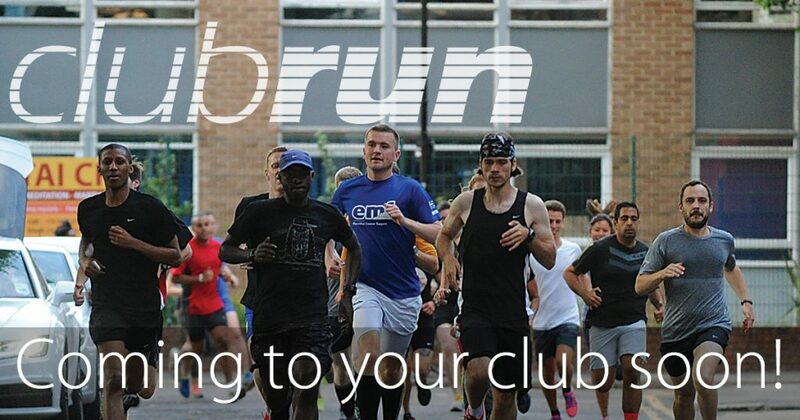 Established C25K training programme designed to take you from non-runner to 5k runner in ten weeks. Three experienced session leaders per session to guide, support and encourage the group. Tuesdays at Hunts Farm sports centre, Timsbury, from April 24th, 6.30-7.30pm. A tried and tested run/ walk approach, starting with alternating 60 seconds of running with 90 seconds of walking for 20 minutes, gradually increasing the running element over the ten weeks. A guided warm up at the start and cool down at the end. No obligation to join Romsey Road Runners club in order to take part, although you are very welcome to. 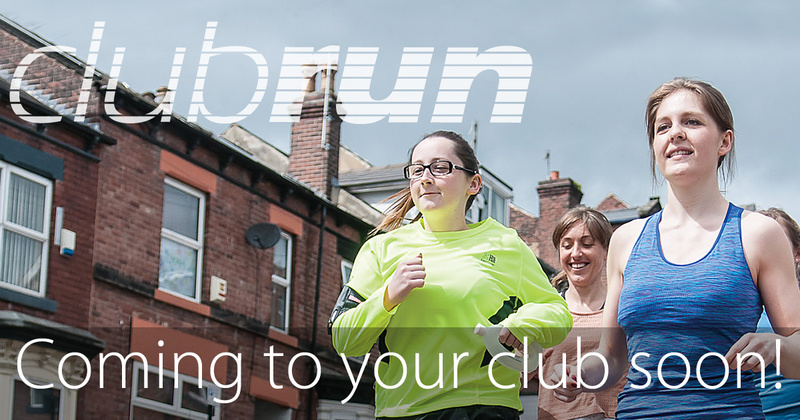 The C25K runs independently of club training sessions. A small charge of £2 per session applies to cover costs. T-shirt and certificate to all finishers. Please factor in the need to run twice a week on your own or with friends in addition to the Tuesday guided sessions to get the most out of the programme. Everyone taking part will be given instructions on how to do this at the first session. We strongly encourage you to sign up for all ten sessions at the outset. This will help you stay motivated and maintain the focus and determination necessary to complete the course. Please come wearing trainers and a t-shirt, tracksuit bottoms/ shorts/ leggings and bring a jacket in case of bad weather. It’s also a good idea to bring some water to drink after the session. 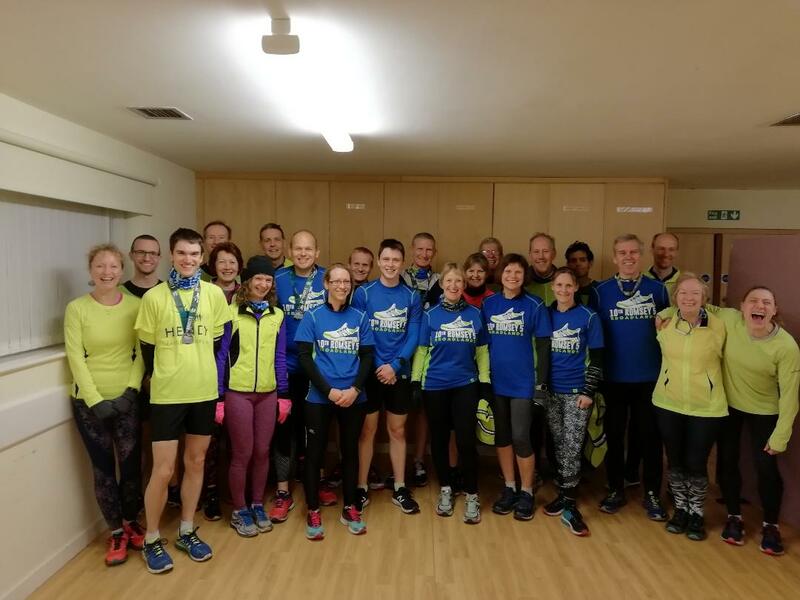 The Romsey 5mile race on Sunday January 28th was a great opportunity for Romsey Road Runners to put their recent training sessions to the test. Set within the grounds of the Broadlands estate, the flat and mainly tarmac route was a perfect course for personal bests. 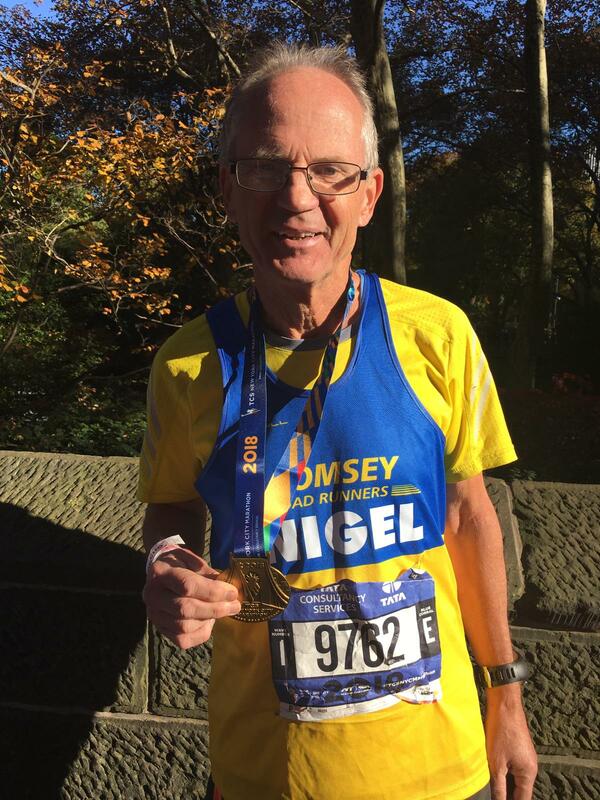 First home for Romsey was Mark Stileman in 30.20 followed by Alex Prinsep 30.36, Ian Winkworth 31.14, James Groves 31.35, Nigel Hemsted 33.29 (2nd in age), James Wilson 36.16, Paul Whitaker 36.18, Ray Webb 36.20, Keith Morris 37.19, Cliff Reeves 38.54, Liz Prinsep 39.55, Julie Shanker 40.21, Sarah White 41.03, Shelly Provan 41.27, Sue Stileman 43.28, Lynn Webb 46.25, Jill Baker 48.22, Sarah Savage 50.55 and Lynne Lawrence 56.54. Another very popular event is the “LDWA Stonehenge Stomp” held in Amesbury was able to make a welcome return for its 30th Anniversary thanks to the aid of Salisbury Running club. Some 900 walkers, runners and dogs enjoyed the well-marked scenic routes of 10km, 20km, 30km and 40km distances encompassing the famous mystical stones. Dorota Hatch completed the 20km whilst Sue Sleath, Abi Cooke, Tamatha Ryan and Francesca Hough completed the 40km route. The Endurance Life event in Dorset proved to be popular for Romsey Road Runners on the 2nd December. With the ocean as a backdrop to the Jurassic coastal path and starting in the picturesque Lulworth cove, various distances were offered from 10km to Ultra plus 46miles. This challenging race with its mixture of trail and grass is listed as an extreme course but Romsey runners were not to be put off. Mark Stileman had an extremely gutsy sprint finish just missing out on 1st place by 4 seconds! With 175ft of climb Mark came 2nd in a time of 48.32 and 1st in his age category. Regulars at this event Anna Duignan and Wendy Couper finished in 1hr 20mins, 1st in age category and 1hr 40mins, 2nd in age category, respectively. The half marathon was over 16miles with 3559ft climb, Alex Prinsep had a solid run finishing in 2hrs 45mins and 40th out of 450 finishers followed by his mum, Liz Prinsep, in 3hrs 52mins. In the marathon, which is over 27miles and climbs 4910ft, Becky Tovey took a slight detour but still managed to finish in 5hrs 44mins, followed by Remi Francois in 6hrs 29mins. Making their debut at an Ultra distance Julie Shanker, Alice Lane and Jim the dog completed the gruelling 33 plus mile course with 5780ft of climb together in a time of 9hrs 20mins. Not put off by the hills of Dorset Mark Stileman fought to stay upright through the mud fest that was the Tadley Xmas 10km. Unfortunately, it was Marks turn to take a detour costing him a place but still finishing in a fantastic time of 39.13, 5th overall and 1st in age category.